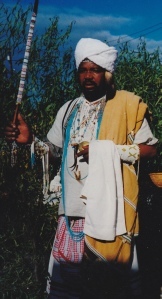 He re-educated me in the African way of seeing everything in relation. Nothing can be seen in exclusion, most of all not exclusive of our ancestors that surround us and impact so strongly on our lives. His Personal training. Traditional healer training for 15 years by his mother Cathreen Kubukeli. Private practice. At Macassar, Khayelitsha, and Mbekweni, Paarl. Training of students that want to become traditional healers. Place of birth: Cala district, Xhalanga Loc. Eastern Cape. Very much missed by his family and the many students he had.